Cave boy Arg is back for another rollicking adventure with his pet dinosaur Krrk-Krrk. 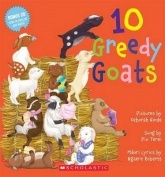 This series continues to be a hit with children reading their first chapter books. Large font. short sharp chapters, and heaps of humour. Even a little danger is thrown in to capture the reader’s attention. The illustrations are full of character, personality and humour and author and illustrator are perfectly matched. A friendly game of hide and find goes a little wrong thanks to Arg’s best friend Shlok. However, Shlok with his drippy, snotty nose, helps stop the bleeding of his dad’s wound. Who knew you could use snot for things other than just wiping it off your nose? Gross! But this is just what many young readers enjoy and just why this series remains so popular. Young cave boy Arg is cold. I mean really cold. He is freezing, his teeth are chattering and his skin is turning blue. Unfortunately things get even worse for Arg when mum throws his coat away because it stinks. It stinks because it is full of vomit, although to be fair, her coat is full of maggots so both are pretty bad. Determined to find his coat Arg runs off in to the wilderness and straight in to danger. Lots of danger, including a spiky-tailed anklylosaur with his own problems. New independent readers will love the short chapters and feel a growing sense of achievement as they whiz through the pages. Donovan Bixley’s illustrations are quirky and full of character, totally giving life to Arg and his Stone Age family. 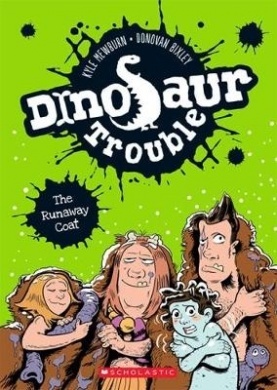 Author and illustrator are completely in tune with each other with this series of books and their other series, Dinosaur Rescue which is for older readers. This latest book as with the previous two in the series, offers lots of fun. It is Kyle Mewburn’s ability to combine a world of grossness and humour that captures young readers imagination and leaves them laughing out loud. Do look out for this third book in the series coming out this November. 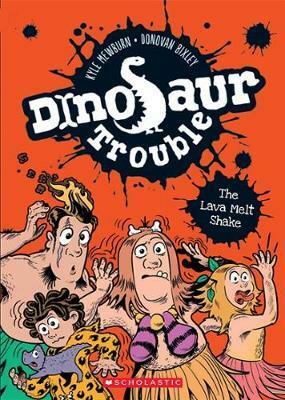 Book review and interview with children’s author @kylemewburn of Dinosaur Trouble Book 2: The lava melt shake. Rumble, whoosh, phhhht! The volcano spews out a red-hot lava melt shake. Can Arg save the day in his mega-messy way? 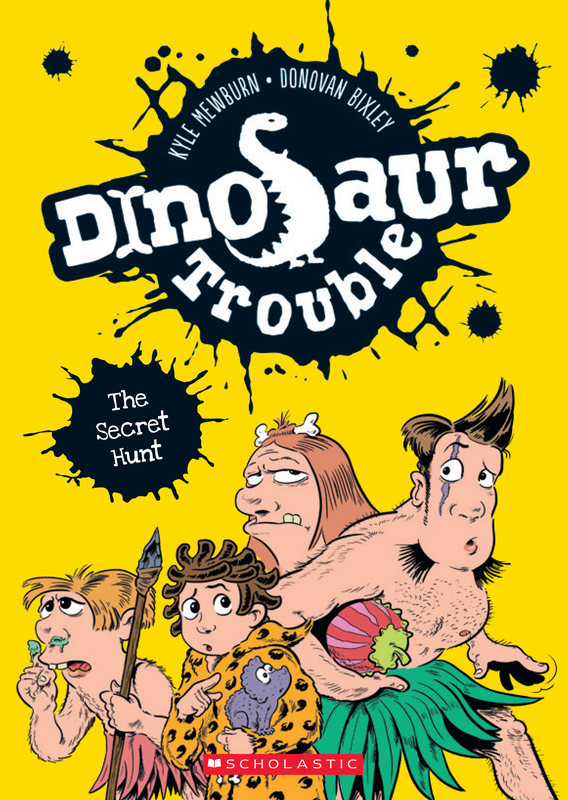 The latest book in the Dinosaur Trouble series about cave boy Arg and his stone age family has heaps of humour but also quite a bit of danger. What makes these books perfect for younger readers is not just that they offer a good adventure to read but there is the awareness that family is important and always there to help and support. No matter what danger Arg gets himself in to, he knows he can rely on family. Donovan Bixley captures the antics with wonderfully funny illustrations. In fact, as a team, author and illustrator work perfectly together. This series and its format with large text, lots of illustrations and short chapters is great for newly independent readers. Perfect for getting readers ready to read the Dinosaur Rescue series after this one. I was enjoying reading the latest adventure of cave boy Arg and laughing along at all the funny bits when I began wondering if the author might just be a bit like Arg. Arg certainly has his share of trouble but with a bit of clever thinking he always finds his way out of danger so I thought I would ask author Kyle Mewburn a few questions to see if there were any similarities between himself when he was young and his mischievous character Arg. Check out his answer to this and other questions below. There is a lot of humour in your chapter books. The Dinosaur Rescue and Dinosaur Trouble chapter books have a real sense of mischievousness in them. What were you like as a child? Mischievous perhaps? I never considered myself mischievous, but for some reason I was always getting into trouble. Personally I think I was simply too clever for my own good – much like Arg. I also had a low boredom threshold, so was always coming up with ingenious ways to amuse myself, whether in class or at home. Unfortunately not everyone could see how ingenious I was. Though Dinosaur Rescue and Dinosaur Trouble aren’t autobiographical per se (apart from the neanderthal parents and jealous sister – haha! ), the underlying sense of alienation and different-ness Arg feels certainly is. Having a strong emotional element underpinning the storyline is so important for this age group, I think. We know you live in an isolated area of the country but you often travel to schools all over NZ and even Australia. Is it difficult having to travel so far. What it is like living where you live and does it get very cold? Millers Flat isn’t as isolated as it seems. It’s only 90 minutes drive to Dunedin or Queenstown, both of which have airports. You could actually argue I don’t live in the middle of nowhere, but halfway to everywhere. But while travelling isn’t difficult, it certainly is expensive. The fact I have to pass on travel costs to schools often puts a visit out of reach of a school’s budget. Which is why I try to make the most of any trip and cram as many visits in as possible, so schools can share costs. I can’t imagine living anywhere else. The lifestyle suits me perfectly. I require almost total quiet to write – even a fly makes me lose focus. So I couldn’t imagine living in a city. And there’s nothing better for clearing the cobwebs than pottering in the garden. Living in an isolated area also fits in nicely with my greenie philosophy. We have a composting toilet and a worm-farm grease-trap, so almost no food is wasted. When we first moved to the area in 1990, we used to get bitterly cold, extended winters. Temperatures could remain below zero for months on end, freezing the ground several inches deep. But recent winters have been positively balmy in comparison, thanks to climate change. Either way, we manage to stay snug and warm in our little, extremely well-insulated (thanks to our grass roof) house with a very efficient wood-burner. What does an ordinary writing day look like for you? I try to write most days – at least when I’m at home. I haven’t quite mastered the art of writing on the road. Basically I wake up, make coffee and, at this time of the year, put on the fire. Then I head up to my desk and start writing… or at least trying to write. Often that involves trawling social media and playing a lot of solitaire. I’m a fits and starts kind of writer. I generally write in inspired bursts. But the inspired bursts don’t appear unless I chain myself to my desk for extended periods of struggling to write a single decent sentence. What key advice would you give to children who want to write? Enjoy your writing! There’s often no concrete reward to writing – the odds of getting published are incredibly low. Unless you are enjoying the journey and the process, you’re more likely to experience frustration and angst rather than joy. What genre of books do you read in your spare time and who is your favourite author? I used to read a lot of literary fiction – Graham Greene, Peter Carey etc – but recently I’ve returned to reading a lot more speculative sci-fi. I’ve been slowly working my way through The complete works of Theodore Sturgeon the last few years. It’s been a fascinating journey following the development of a key sci-fi writer from his early days of churning out “800-word stories with a twist” for a magazine, right through to the complex classics of his latter years. If you could be any character from any book, yours or anyone other book, who would you be and why? The character from H.G. Wells’ The Time Machine. I’ve always had a fascination with the notion of time travel – and the moral implications of it all. Thank you so much Kyle for sharing your thoughts. Kyle Mewburn has a way of connecting with his readers, of which he has many. His picture books are always in and out of the library and his Dinosaur Rescue series has been a great success with the year three children and up. Now with a prequel series for Dinosaur Rescue aimed at younger readers, he will no doubt capture those working on their first chapter books. In The Great Egg Stink cave boy Arg meets Krrk-Krrk the dinosaur. Meet isn’t exactly the right word but you will see what I mean when you read this funny book. There is lots for readers to laugh at, with flying maggots and smelly body bits. Donovan’s humourous illustrations add to the quality of this fun first chapter book and will hook readers who will love going on to the extended reads of the Dinosaur Rescue books. A little reminder of the Dinosaur Rescue series for when you have finished The Great Egg Stink and want to read more about Arg and his Stone Age adventures. This is an old classic and everyone knows the tune with a real sense of familiarity which will make this a favourite. Deborah Hinde’s beautiful, warm and yes, cute illustrations are delightful. Bright, bold colours with a warm fuzzy feel will appeal to younger readers enjoying a read with parents and grandparents. I do love the little snail who is there on almost every page, smiling at the goats and their antics. With the bonus CD wee ones can sing along and it won’t take long before they know it all by heart and keep asking for it again and again. Tui Street Tales came about after Anne Kayes won the prestigious Tom Fitzgibbon Award. This middle-grade novel is actually a series of short stories about children living in suburban Tui Street. The stories are connected as the children in the street become involved in each others lives. There are familiar fairy tale associations weaving their way through the stories. The children attend nearby Awatiu School and know each other well. It is lovely to see how this small community look after and protect each other through the many different adventures they face. Community and friendship are a strong theme through this book. Is there magic or something more happening somewhere in the street? Well you will have to find a copy to find out but be prepared to find yourself wishing you lived on Tui Street with Jack, Tim, Ella and many more.